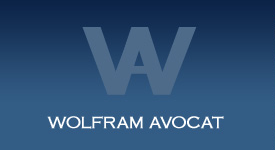 WOLFRAM-Avocat is attached to fundamental values ​​of the legal profession such as integrity, loyalty, independence, confidentiality and professional secrecy. As a boutique Law-firm we can still offer our clients a level of personal contact, custom work and availability. Rapidly changing business and new technologies require a modern, open and pragmatic approach of the growing needs of our clients. In the “Global Village” openness, multicullturalisme and understanding attitudes are essential to carry out its work. The quality of the lawyer-client relationship, professionalism and transparency are crucial to establish a lasting relationship and strong confidence. Within the international networks in jurisdictions all over the world, we provide legal services which are adapted to start-ups, midsize companies of international groups. Essentially oriented towards the world of business deals, companies and their executives, WOLFRAM-Avocat offers legal consulting and litigation for companies whose markets are Europe and the world.